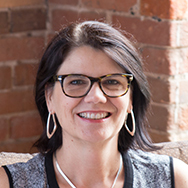 An adult learning professional with 20 years of experience designing, developing and delivering learning solutions for professionals in a variety of industries in both domestic and global locations, Mary Kay joined the Durham office of Duke CE in April 2011. As a project director for a global client team, she facilitates the design and development of customized executive education programs ensuring that the client’s needs and expectations are exceeded. Her role includes client relationship management, program design and delivery, budget creation and implementation, supplier engagement, and overall project leadership. Mary Kay has a B.A in Psychology from Stonybrook University, an MBA from Long Island University and an Ed.D. from Rutgers University. Her dissertation focused on informal learning in the workplace. Mary Kay is MBTI and DDI certified.